Elana K. Arnold has written a delightful book that I really enjoyed reading. But I also found it an important book because the main character is what many would call neurodiverse or to be more specific: autistic. While that is not stated specifically, it becomes clear in Bat's behavior that communicating with others is difficult for him. One thing that I especially appreciated is that Bat's difficulties are portrayed as just a natural part of him that he and his family live and work with. Bat's challenges aren't made out to be all there is to him. Bat's love for and fascination with animals shines through loud and clear as Bat tries to persuade his mom to let him care for an orphaned baby skunk until it's time to return it to the wild. The interactions between Bat and his classmates (he does go to a private school) and Bat and his sister Janie feel natural and real both the good and the bad. In addition to having realistic characters and believable situations in regard to Bat, there is also the fact that Bat's parents are divorced and he spends every other weekend with his Dad. 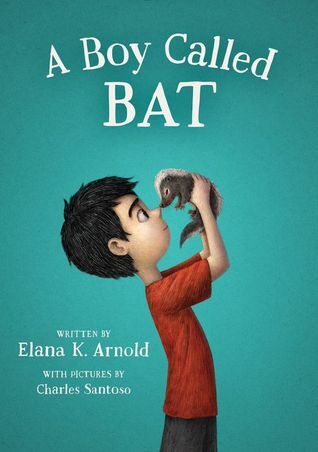 I loved how real this whole story felt and the way the animal facts and Bat's challenges are so beautifully woven together. 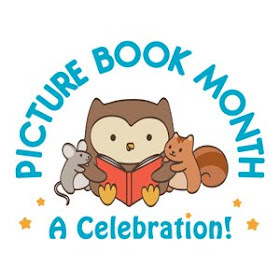 This is a book that I think ALL elementary libraries should have and a great one for personal collections as well. Definitely going on my shelf of favorites. AW, this looks and sounds adorable!! My daughter loves animals and has some trouble with kids at school. I'll see what she thinks of it. Thanks for the heads up!